Eight years ago, when the first edition of this book was published, we told you that the two trends in childbirth were moving in opposing directions. They still are. One trend is the growing number of hospitals providing homelike accommodations, including Jacuzzis and microwaves, plus the more than 140 out-of-hospital birth centers (with more than 40 in the works), which numbered in the dozens only a few years ago. The other trend is high-tech childbirth. We’ve had routine IVs, labor induction, and cesareans for years. Now there’s a growing emphasis on tests and procedures of all kinds. It starts early in many parts of the country, with pregnant women of all ages being encouraged to undergo prenatal testing. It continues with the use of the electronic fetal monitor (EFM) during labor for 75 percent of women (and before labor for some), as well as the ubiquitous ultrasound offered routinely in at least three ways (scans, Dopplers, and external EFMs). And in the last eight years, the cesarean rate has increased from one in five births to nearly one in four. However, the good news about cesareans is that the rate has begun to drop, due primarily to the increase in the number of vaginal births after previous cesareans (VBAC). Which trend is growing the fastest? No doubt about it: Despite the leveling off of our cesarean rate and the upswing in the number of VBACs, high tech continues to dominate childbirth. If you’re like most pregnant women, it’s as much a part of your pregnancy and birth today as is your big belly. For most of you, your decision making about high tech is likely to be when and for how long you will use which of these pregnancy and birth tools, not whether you’ll use them at all. The issue now is to use birth technology wisely and not be seduced by it. Though there are more choices in the United States for birth attendant and place of birth than probably anywhere else on this planet, women mostly give birth one way here–with a doctor in a hospital. And over the last eight years, despite the availability of these choices and with the exception of an increase in the use of midwives and VBACs, options in the birth process have become less–not more–flexible. Birth plans, for instance, with their list of mothers’ preferences during labor, birth, and hospital stay, were designed to help women get what they want. But today birth plans often carry little punch except for those women whose requests match their physicians’ usual obstetrical routine. And the change in insurance coverage for those of you who have prepaid plans (with their limited choice of health-care providers and hospitals) can curtail your options even more–unless you’re willing to pay additional cash out of pocket. Each nation’s culture is reflected in how women experience birth, and that’ s true here as well. Most American women expect labor to be painful and anticipate using a variety of drugs. And both expectations are met. However, women always vary widely–no matter where they live–about the “normal” amount of pain they experience, just as the “normal” length of labor and the “normal” number of days vary widely in pregnancies. A 1988 study comparing labor pain experienced by women in teaching hospitals in the Netherlands and the United States found that the Dutch women did not expect to experience as much pain and used far fewer drugs for pain relief than American women. “There is in Dutch birth participants a deep-seated conviction that the woman’s body knows best and that, given enough time, nature will take its course, whereas birth in America was characterized as much more of a ‘medical event,” noted one of the study’s authors. In the Netherlands most women are cared for by midwives, which suggests that women are helped and encouraged in a variety of nondrug pain relief methods; 35 percent of Dutch births still occur at home. As old-fashioned and unscientific as that sounds to many of you, nearly twice as many Dutch babies survive per capita (even after allowing for racial differences) than in the United States. But we don’t live in the Netherlands; we live in medically oriented North America, where birth conjures up much fear and anxiety. And too many laboring women have been going to give you Pitocin (or a cesarean),” which can increase their discomfort and pain, sometimes leading to panic and a body’s total shutdown of labor. Although most of you used a variety of tests and procedures during your pregnancy and birth, many also worry about the effects some of these interventions can have on your infant. And the older your child gets, the more critical some of you become. For those of you who had been looking forward to an unmedicated birth, some now feel guilty or defensive about erroneously believing that you “flunked” childbirth because you used drugs for pain relief. Your comments came from forty-three states, seven Canadian provinces, and seven other countries; from as far as Malaysia and as near as the next block. One or both of us have replied to your letters (though some of you moved and our notes were returned). We thank all of you, and invite you once again to tell us what you think by sending us your questionnaire response. And though we’ve added more of your comments in this third edition, we apologize for not being able to add them all. A few of you have bought many copies of this book to give to friends, and others have enjoyed passing around the same dogeared copy. Many childbirth educators, La Leche League leaders, midwives, nurses, and doctors keep copies in their libraries. In addition, A Good Birth, A Safe Birth is offered in a number of mail-order catalogs and has been placed on many recommended reading lists. Several dozen of you wrote early on to say that you were interested in organizing surveys or consumer groups. More often than not, those plans changed, and some of you decided to train as childbirth educators or midwives instead. Perhaps the biggest trend we’ve seen in reader replies, particularly over the last few years, is the interest in and use of the doula, a woman who offers comfort and support during labor. And if you didn’t have one of these compassionate women at your last birth, you plan to the next time. Your stories have told us that for most of your births hospital routines are remarkably similar in the United States, from California to Maine. We noticed, however, that questionnaire responses show a big jump in the use of midwives in the last few years, and the births they attend are often more individualized. Your letters have also made it clear that your birth preferences can vary from pregnancy to pregnancy. Just as one woman’s Dr. Right is another woman’s Dr. Wrong, one woman’s good birth experience is another woman’s misery. Reminiscent of our comments in previous editions, most of you found the best advice about breastfeeding came from friends, La Leche League, childbirth educators, midwives, and books. Now you also can get the help of more than 1,000 lactation consultants. (See “International Lactation Consultants Association” in Appendix D.) Family members still tend to give advice that falls either in the “really helpful” or the “really terrible” categories. Hospital nurses, obstetricians, and pediatricians fared the worst in the advice category overall, though there were some exceptions, and family practice doctors tended to be rated more helpful than not. Nearly every chapter has new research confirming the conclusion we made in the first edition about a good birth being also a safe birth. We provide information about options that women want, including new data from reader questionnaires, and about the seldom discussed sexual pleasures of pregnancy, birth, and breastfeeding. Types of birth attendants (midwife and doctor) and of places of birth (hospital, birth center, and home) are compared. We present a demystified view of doctors and nurses so that you can understand why they do what they do. From cesareans to circumcision, from prolonged pregnancy to newborn jaundice phototherapy, the risks and benefits of modern American childbirth interventions are described. We encourage you to appreciate your pregnant and new-mother feelings. 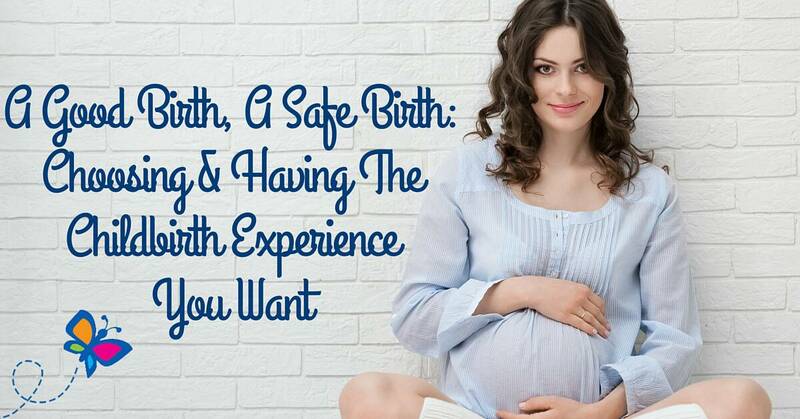 As your best guarantee of having a normal vaginal birth once you’re in the hospital, we suggest that you plan in advance to have helpers–mate, doula, and perhaps a monitrice (your personal ob nurse)–with you. And as “husband” doesn’t compute for the 27 percent of you who are single when you give birth, unless the research specifically mentions husbands, we’ve used the words mate or partner. As health-care users, we have the right to have a big say in those services that affect our welfare so critically and cost us so dearly. But instead of finding out what people want and need in their health care, doctors and other health-care providers too often tell us what we’ll be getting. So far, that’s worked because hospitals and doctors have had a monopoly in their business. But in at least one area of health care–childbirth–doctors and hospital administrators now are trying to respond to what women want. Today more and more women know what they want to have happen in their childbirth experience. Really, they’ve known all along, but for years no one ever asked them what they wanted. *All quotes from women throughout the book are from the three maternity preference surveys cited or from our readers, who are identified by state or province. More than 2,000 women were asked to rate hospital maternity options in three different cities. They represented the Northwest (Wenatchee, Washington), the Mountain States (M.O.M. Survey, Boulder, Colorado), and the East Coast (C.O.M.A. Survey, Baltimore, Maryland)–a cross-section of the nation. Women of very diverse educational and economic backgrounds agreed on what’s important in maternity care. and recovery, and to have unrestricted visiting rights. throughout their entire hospital stay. Women who breastfeed want effective help from nurses and doctors. They want their other children to visit them and to see and hold the new baby. nurses–in using prepared childbirth techniques. The hundreds of women who sent in the questionnaire in the back of the book or phoned or spoke to us in person strongly agree with the first four of the five most important needs from the survey results: the partner’s presence, baby contact, breastfeeding help, and seeing their other children. Women continue to see childbirth as a social event in the broadest sense: It either unites the family unit or pulls it apart. They want the time around the baby’s birth to be one that strengthens relationships and welcomes the new baby. Women have changed their view of the fifth need identified in the surveys. Our readers are turning to doulas to get the help they need in the hospital. Which trend is growing the fastest? No doubt about it: Despite the leveling off of our cesarean rate and the upswing in the number of VBACs, high tech continues to dominate childbirth. If you’re like most pregnant women, it’s as much a part of your pregnancy and birth today as is your big belly. For most of you, your decision making about high tech is likely to be when and for how long you will use which of these pregnancy and birth tools, not whether.